Stretch Spandex Banquet Chair Cover Navy Blue - Your Chair Covers Inc. Durable and of premium quality, our spandex banquet chair cover in navy blue is designed to fit any standard banquet chair with round top. Made from high quality four-way stretch spandex material, our navy blue stretch spandex chair covers exemplify modern sophistication and luxurious elegance. For years now, we've been supplying these navy blue stretch chair covers to chair cover rental companies, restaurants, wedding venue owners, hotel and catering business owners. These types of chair slipcovers stylishly contour banquet chairs, giving them the sleek, formal appearance. navy blue spandex chair covers from Your Chair Covers have deep canvas foot pockets, do not require ironing and can be laundered countless times. If you're planning a lavish event, chair covers from Your Chair Covers make an excellent choice because our wholesale tablecloth and chair cover company is known for meeting hotel and restaurant product quality standards. PACKAGING. Our spandex banquet chair covers are individually-packaged. 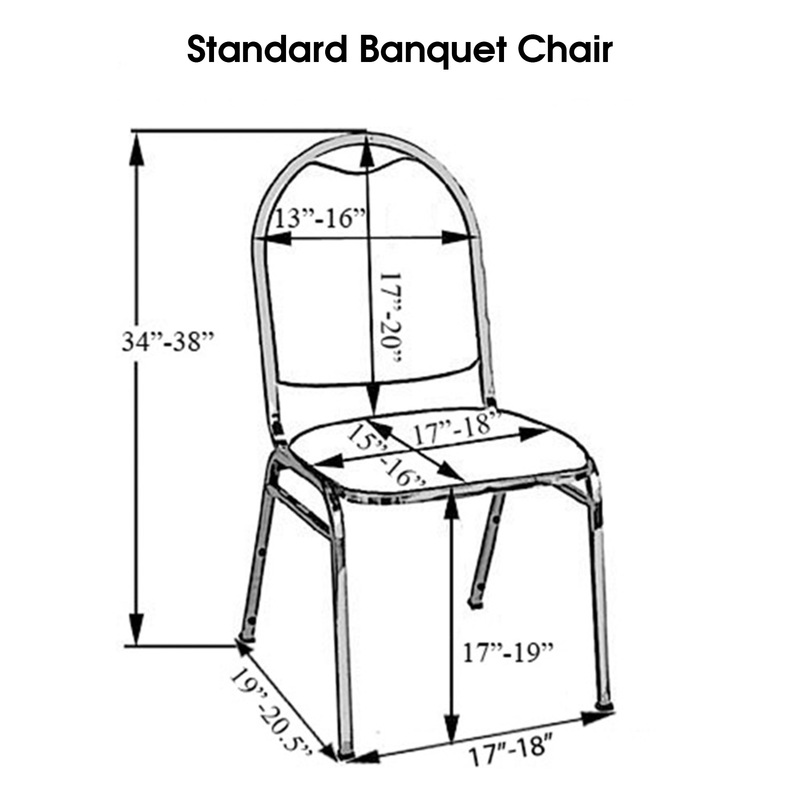 For help on how to determine the right banquet chair cover size, please use the sizing chart below. For more information about our wholesale chair covers and complementing tablecloths, please call us at 877-450-8383. *Spandex is a stain and wrinkle release fabric. Meaning, stain absorption is reduced and wrinkle formation can be minimized. These chair covers are made of great quality and material. Shipped in a timely manner. Awesome product. Awesome service!!! I love this product. The navy blue is true to color and the material is good. I will be purchasing from this site again. I fell in love with these chair covers compared to other websites. The cost is very much worth the quality. You do get what you pay for I must say and that is the Best. These spandex chair covers worked great. The re-enforced cups made them easy to put on and keep the wear off of the fabric. We have just finished laundering them and they have held their color and still look brand new. Excellent value for the price. Very happy with all the products I purchased - table cloths and seat covers. Quality exceeds price I paid. Highly recommend company and product. Transformed my chairs into elegance - can't even recognize the original chair. Thank you!! These chair covers were probably the best I've ever ordered. Loved the quality and details. Great company to work with. Delivery was fast and their service is the best.